If you have been referred for orthodontic treatment, now is the time to seek it out. 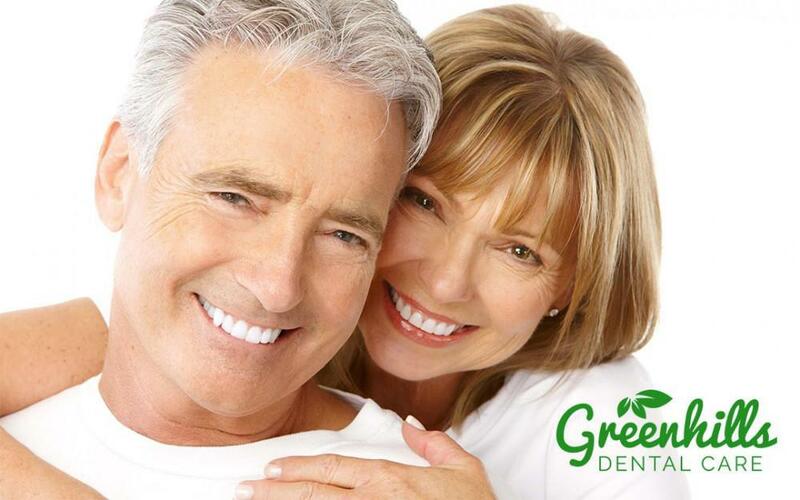 Not only will you benefit from a beautiful smile, you will know your smile is healthy as well. Orthodontists work to straighten your teeth through a dental specialty called orthodontics. Early intervention can help prevent future issues with spacing and crowding of your teeth. Below, Dr. Bien will talk to you about why it is important for you to care for your mouth, teeth, and gums while wearing braces. When you take a look in the mirror at your braces, you will notice that there are many different wires and brackets that connect your braces to each other. Because of this, there are small areas where plaque and food can become lodged and you may not even see it. This also means that tooth decay can form and cause serious problems with your teeth. Dr. Bien wants you to know that you must pay attention to your braces and clean them properly day in and out. 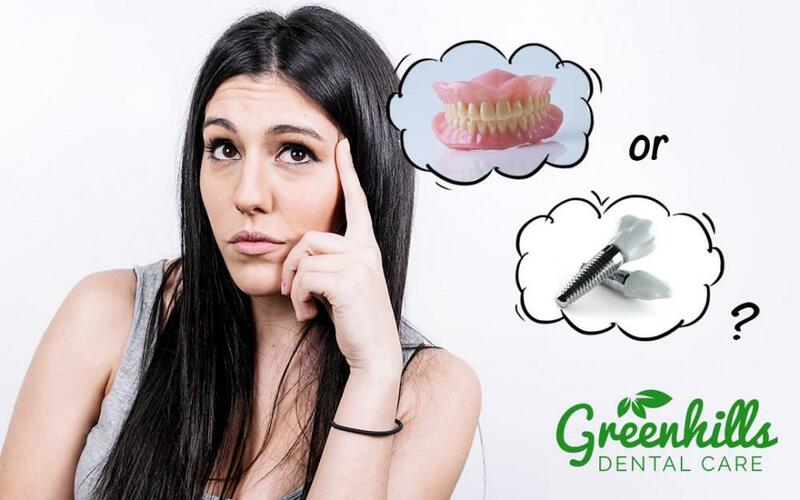 You should never skip a brushing or flossing simply because you do not want to do it. You need to keep your teeth clean or you will suffer from permanent damage to the surface of the tooth. Since part of your tooth is hidden behind the bracket of the braces, you may ultimately skip it and not think much of it, but plaque can build up in this area. This can then lead to white spots that form on the tooth due to decay. In addition, your gums may swell, bleed, and become irritated. If you do develop gum disease, gingivitis is able to be reversed, but periodontitis cannot and can lead to serious effects. 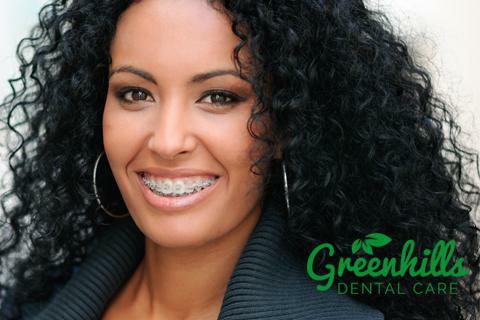 It is important for you to speak with Dr. Bien at Fremont Greenhills Dental today to learn more about your braces and how to care for them. While you may not think that what you eat and drink matters, it does. In fact, Dr. Bien wants you to know that foods and drinks high in acid can lead to erosion of the tooth enamel and ultimately cause decay. You should have regular checkups to ensure that your teeth are always healthy. Below, you will find a convenient chart that shows you some of the best foods and drinks that you should consume when you have braces. The key is to find foods low in acid. You are likely already aware that sugary drinks such as fruit juices, sports drinks, and soft drinks can lead to serious tooth decay. In addition, you want to avoid foods that are high in starch such as potatoes, french fries, and chips. This is because plaque sticks easily to these substances and then becomes attached to your teeth. While you may want to consume a soft drink or two, know that they are bad for your teeth and it is because of how much sugar is in them and also the acidic additives. Soda can lead to cavities. One of the ways that your body is able to defend against cavities is through saliva. 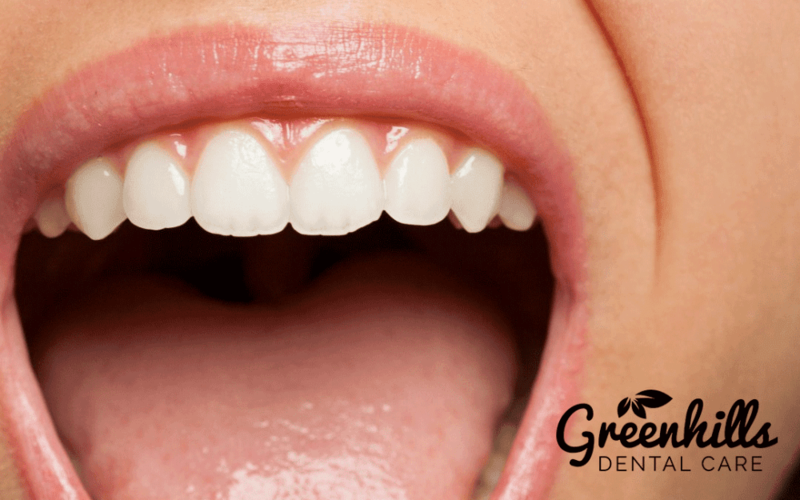 Your saliva helps to coat your teeth and wash away many of the substances left by foods and drinks that you consume. Dr. Bien does recommend that you try to limit how much you consume food during the day and limit it to three meals and two snacks. This way, you are able to drink fluids in between and brush your teeth as needed. Did you know that there are many different types of foods that can actually break your braces, snap the wires, or cause the bands to come detached? Dr. Bien recommends that you avoid eating any type of hard foods such as cookies, nuts, and hard candy. You do not want to consume whole apples and carrots unless they have been chopped or are cooked and soft. It is VITAL that you avoid any chewy candy, popcorn, chewing on ice, toffee, caramel, and similar items as they can ruin your braces. If you do accidentally break your braces, call our office in Fremont now! 1. If you have been provided a dental appliance with removable elastic, take the elastic off before you brush. 2. You should use a soft toothbrush that you can easily manipulate around in your mouth. You need to be able to move it in a 45-degree motion without any issues. 3. Use small, circular motions to clean your teeth and spend about 10 seconds minimum on each tooth before you move on to the next one. Make sure you brush from one tooth to the next in a pattern, so you do not skip any teeth. 4. Brush the braces as gently as possible, but do use enough pressure to make sure the bristles go behind the brackets on your teeth. You may want to invest in an automatic toothbrush. 5. You need to brush the inside and outside surface of each tooth, which means you should spend a minimum of a couple minutes total brushing your teeth. 6. On the chewing surface of your teeth, you want to use more pressure and a back and forth motion to clean the tooth. 7. You should spit out any additional toothpaste in your mouth. Do NOT swallow the extra paste. 8. If you took off any elastics, replace them at this time and inspect your teeth in the mirror. 9. 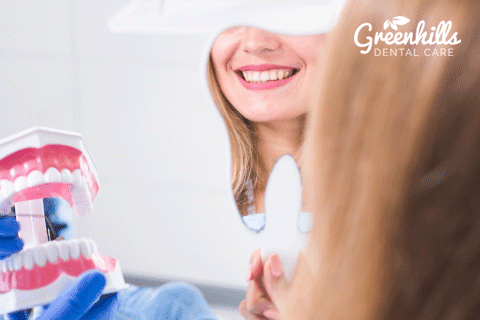 Rinse your mouth out with a fluoride wash that has been prescribed by Dr. Bien. 10. 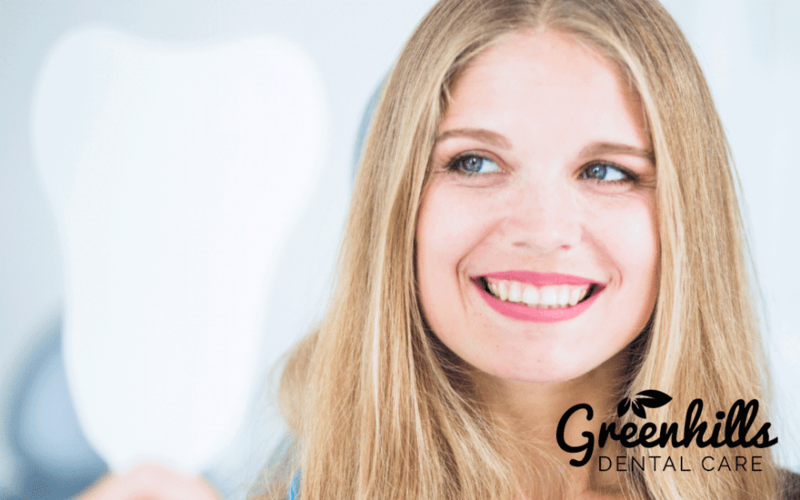 Use any additional products prescribed by Fremont Greenhills Dental and use as directed. It is important that you utilize products made with fluoride to prevent decay as well. Since your teeth will be harder to clean with braces, the fluoride washes can help to remove the plaque and keep it to a minimum. Dr. Bien recommends that you use a fluoride toothpaste after every meal or a minimum of twice per day. The fluoride will work to make your teeth more resistant to the bacteria. 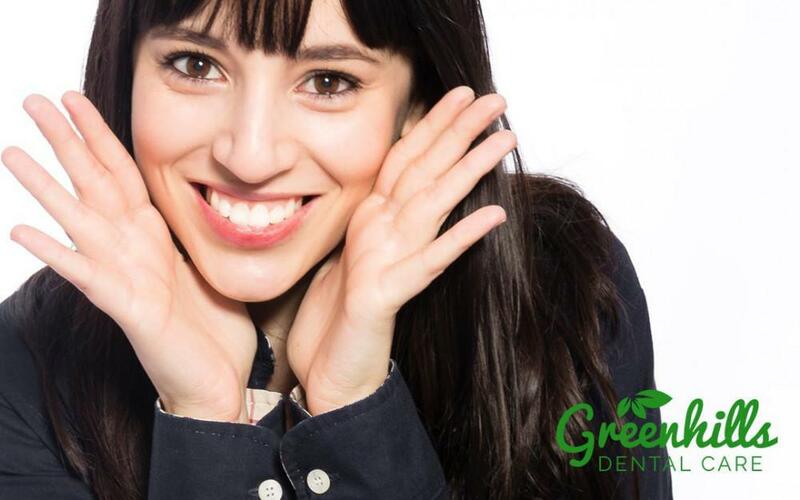 If you would like to discuss your options, call Dr. Bien today at Fremont Greenhills Dental!